What? I mean, WHAT? 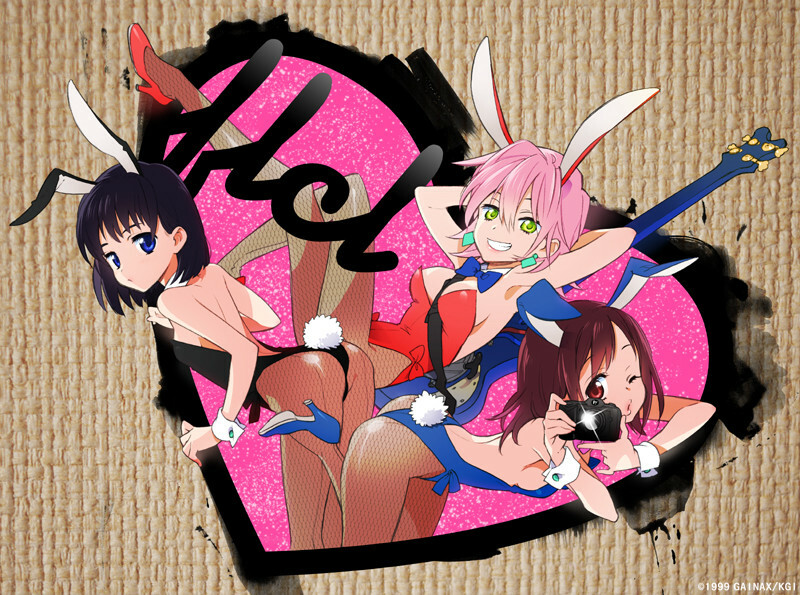 I'm so confused but it's awesome that Gainax likes to have their fun. The translation of what the video keeps saying is 魔女 (まじょ, witch) but....yeah. Last edited by Sailor Star Dust on Fri Apr 29, 2011 12:53 pm, edited 2 times in total. Sailor Star Dust wrote: What? I mean, WHAT? I'm so confused but it's awesome that Gainax likes to have their fun. Don't forgot the title has "MUSIC is SF"... MacrossF reference? 井上涼 Ryo Inoue is a 28 year old conceptual and performance artist, debuted in 2009. 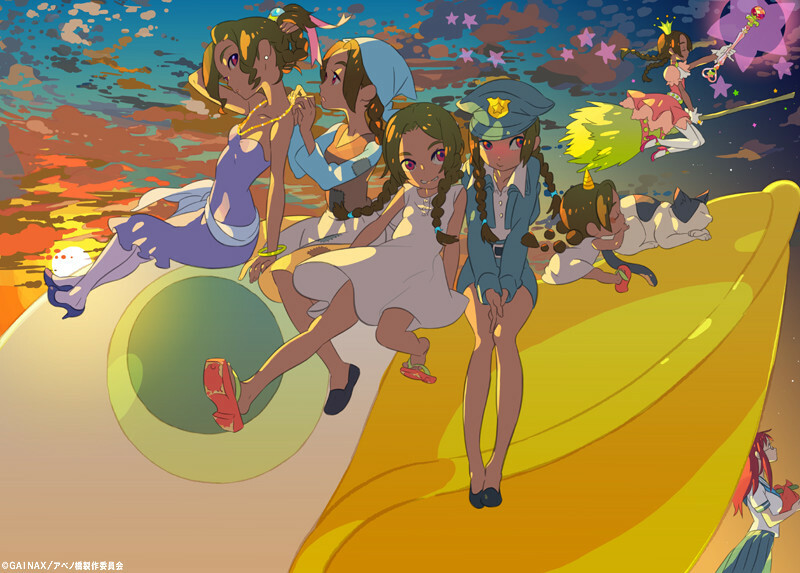 ... of new top page of Gainax net of course!!! 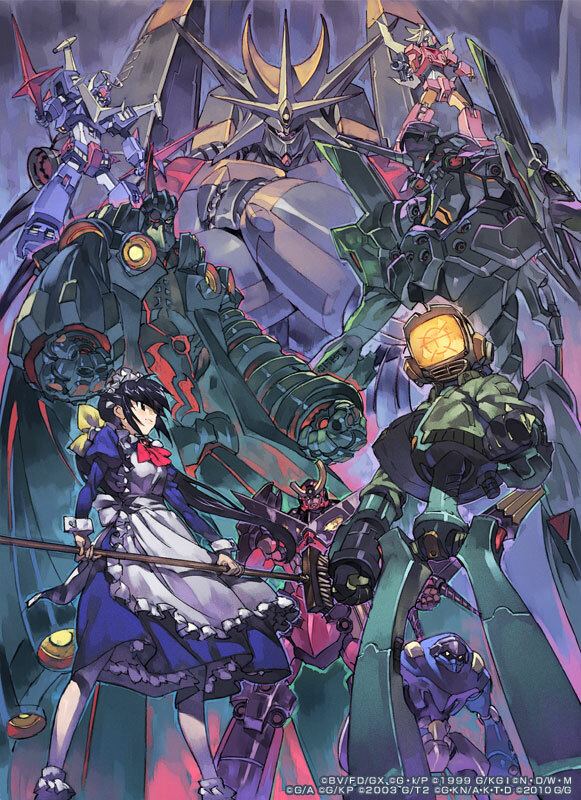 Amazing illustration, I would have preferred Nono in place of Dix-Neuf but probably there were already too many "SS" size robot (using SRW terminology). Anyway bravo to Yo Yoshinari! Anyway, I've finally created a Picasa album with my own collection of GTP pics (for the sake of redundancy; I've set it to "original size" so hopefully the pics won't be modified); I've also found another collection, it has a variation of 249_top2 (different background and slightly different drawing) and non-Picasa modified 424_hanamaru and 445_flcl; it also has different versions of 310_gurren, 370_orl and 436_sf100 but in this case I have no idea about which pics are the original ones. Why is Gurren Lagann drawn as one of the smallest mecha when in the series it is larger than several galaxies? BrikHaus wrote: Why is Gurren Lagann drawn as one of the smallest mecha when in the series it is larger than several galaxies? Because it's regular Gurren Lagann and not TTGL? BTW, I know my mirror's been down for a few weeks. I'll be getting it back up to speed, hopefully this week. 600(!) images were done for the weekly splash page, now it'll be 1 image/month.